I have wanted eyelash extensions for the longest time. The reason why I never had them done before is because I really dislike having to maintain them, the cost is high, and having to make small changes to my beauty routine because of them. But now that I am seriously planning my wedding, (btw, I've started a wedding series every Wednesday. Check it out here) I had to try them out because I was planning on having them for the wedding. I love full voluminous eyelashes but I am terrible at applying lash strips. I've tried a couple of time and failed miserably and sometimes find them uncomfortable. I assumed that lash extensions were the way to go. I got them done on Saturday night...I was looking at ways to remove them at home that night. They aren't me and I want them off. I was bored on Saturday and had some extra cash that of course I just needed to spend on something (I need to stop). So I went to the woman who does my eyelashes and got the extensions. The process wasn't long at all, about 35 minutes. Quick, and painless. All these years of people getting them done, not once did anyone tell me that it was going to burn like actual hell. This made me very angry. The glue was very very strong and irritated my eyes. She said it was normal but I just couldn’t believe that I never knew that information. It didn't last too long, but long enough to piss me off. I really should’ve sat down and done more thorough research. I don’t know I kind of figured that they would have created a glue that wasn’t going to irritate the eyes. Eyelash glue that I use for lash strips isn’t strong and doesn’t irritate my eyes so I guess figured that it would be a little bit of a stronger eyelash glue and not as painful as it was. That in itself is enough to keep me away. I don’t like any discomfort and that’s why I don’t like beauty procedures. There is always some sort of discomfort. I just don’t have time for it. I love my eyes and I want to be able to see clearly without them feeling like I just poured hot sauce into them. Now once I was able to see comfortably again, I just wasn’t in love with the lashes. I don’t really know why. I guess they look good I mean they don’t look terrible but I just was not in love with them the way that I thought I was going to be. I thought that this was going to be a life-changing process for me and it definitely not. They were a little bit uncomfortable for the rest of the night but when I woke up in the morning they were fine. You are not to wash your face for 24 hours after getting them so that was annoying. I feel like I did hear that somewhere before I got them done and I just forgot but I didn’t like that I wasn’t able to wash my face before bed and overall I’m not very pleased. My husband thinks it would be insane for me to take them off after two days considering the cost I paid $90 for mine they’re supposed to last for 4 to 5 weeks depending on if I wash my face a lot or go swimming a lot or things like that but I honestly cannot deal with these I don’t want them anymore they’re not me and I really don’t know why I even got them now. I think I’m gonna try to stick it out as long as I can but I’m just not happy and I want them off so I think I’m just going to stick to Lastrapes when I really need lashes because they are way better for me personally. The best part is that the same night I got them done I was already looking at ways to remove them at home. There were so many people that had the same complaint as me. They said that it just wasn’t what they thought it was going to be. They didn’t want to leave them on and they probably won’t get them again. I just don’t really understand why I didn’t look more into it. I just saw all the good and I never focused on any of the issues so I like jumped right in. I definitely regret that. I know of tons of people who get their lashes done and it looks incredible and they love it and that is so awesome. Maybe I should try a different salon. Maybe I would have a different experience there but I don’t know if I would be willing to try it again. I think I might start looking into better mascara that can just make my lashes look longer, and growing out my natural lashes because I really do prefer to be natural. It’s just the easiest to maintain and I doubt I will get extensions again. 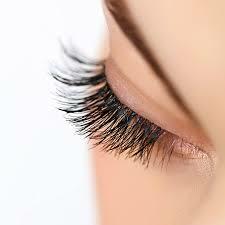 Have you had lash extensions before? Did you love them? Did it burn your eyes? Let me know in the comments!!!! I'm so sorry to hear that you had a bad experience! I've gotten mine done numerous times at a specialty salon in Sterling and have never, I mean never had them burn! The process takes about 1-2 hours but has never hurt or caused an irritation. Hope you end up not hating them! I love the convenience of waking up and already looking put together. Wow. Thanks for sharing. I doubt that I will try them now. I'll just use mascara.